New! 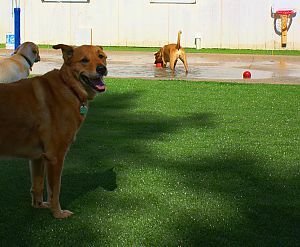 Doggie Pool Party and Water Park! Yes, we said “Water Park”! 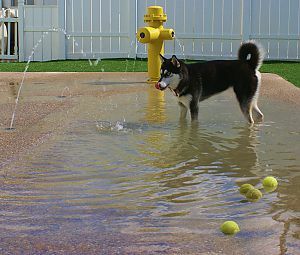 We are proud to announce the opening of our new water park for dogs! Our Taylor location has an indoor waterpark that is open year round! Our Canton location has an outdoor waterpark! Eight nozzles that spray water from the spray pad at random. This is a must see! Just like kids, dogs have BIG fun running through the fresh water squirting out of the nozzles in the splashpad, through the “rain stick” and custom made “fire hydrant” that shoots water in 4 directions! Let your dog feel like a puppy again. Each dog is tested for temperament and social interaction with other pets prior to entering the Water Park and is grouped appropriately.